Halloumi Sandwich | My Cooking Diaries "CooklikeCecilia.com"
Wash he rocket leaves and dab dry on a paper or kitchen towel. Slice the halloumi into 1/4 inch slices. Slice tomatoes into thick slices. Heat a grill pan and grill the halloumi and tomatoes slices. 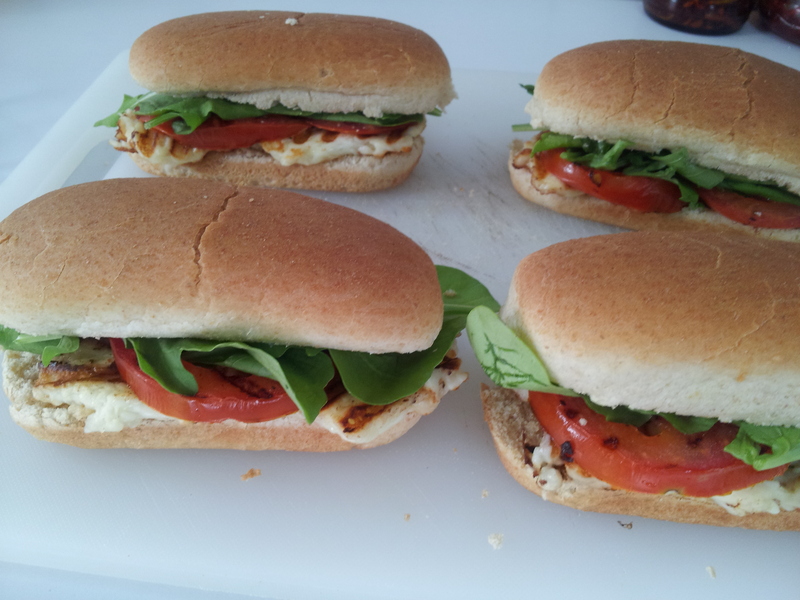 Slit the bread rolls horizontally and layer the halloumi, tomatoes and rocket leaves. Serve immediately or grill the sandwich lightly and serve warm.